Looking for Show Notes or Links? Looking to start podcasting too? You need to have good audio… PERIOD. Here’s a list of what I needed to get started for interviewing one “in-person” interview. Thanks for using my affiliate links! You will need one of each (I can show you how to set up). This set up will get you through skype calls with nothing else. In this session we are going into some personal accounts of hamstring strains. In school, clinicians seem to get the textbook presentations… then they get out into the real world of healthcare and see all of the uniqueness of people and situations. People are unique… this is why case studies are great. The patient’s I’m interviewing are not people I have confirmed have a hamstring injury but I did ask my network of people to find a “hamstring strain” for the interviews. Always go see your sports doctor for a proper examination and treatment plan. Book an appt with Dr. Sebastian today! Sebastian’s Youtube Channel for hamstring videos. Attention Docs and Fitness Professionals: Access your client educational products, banners and posters here. Dr. Sebastian Gonzales is an expert in trouble shooting sports injuries and overuse conditions. This podcast is intended for sports medicine topics to become easier for patients and athletes to understand. Don’t get confused by what your doctor told you in your appointment. If you like in Orange County CA, book an exam with Dr. Gonzales, your Huntington Beach Chiropractor. If you haven’t seen yet, I’m doing a Youtube video a day for 2018 just for all of you to get extra information from the podcast. This month is all on hamstrings. Back pain isn’t the death sentence you think it is. Majority of people can get better with a little understanding and dedication. Dr. Stuart McGill PhD is a spine biomechanist at the University of Waterloo. Over the years, he has conducted numerous lab experiments on the human spine to figure out how much load it can take, what motions cause it to become injured and more. He’s the author of some awesome books, such as Back Mechanic: The Secrets to a Healthy Spine your Doctor isn’t Telling You, which was written specifically for chronic low back patients to better understand and resolve their condition. Dr Stuart McGill’s Bio: Dr. McGill is a professor emeritus, University of Waterloo, where he was a professor for 32 years. His laboratory and experimental research clinic investigated issues related to the causal mechanisms of back pain, how to rehabilitate back-pained people and enhance injury resilience and performance. This produced over 240 peer-reviewed scientific journal papers, many international awards, and has mentored over 40 graduate students during this scientific journey. Should I stretch my back? Is my pain from a disc herniation? How can I overcome a weak back? Why does it hurt when I sit? These are just a few of the topics. Basically this podcast was designed to fit the best spinal hygiene information within an hour and 15 min block. If you’re a healthcare provider, share this with your patients. If you’re a patient, share this with your doctor or your spouse with back pain. I recently contacted the National Strength and Conditioning Association (NSCA) region director asking for an interview referral for the best person on this topic… her answer was Dr. Seth Myers. I thought it was funny he was the top suggestion because he is also a chiropractor. I thought I was going to be given the contact of someone who only does coaching. Dr. Myers didn’t disappoint. Trained under the ideals of Dr. Stuart McGill PhD, he gave some great pointers on how we can address and prevent lower back pain while squatting, deadlifting, snatching and more. “My name is Seth Myers and I am a Sports Chiropractor practicing at JointFit Chiropractic and Sports Medicine Center in Manhattan, KS. I practice with an emphasis in evidence-based medicine and focus on active care. The treatment I provide is focused on empowering the patient and helping them navigate through musculoskeletal issues that are slowing them down in life. I have a masters degree in sports medicine and a handful of other certifications in strength and conditioning (CSCS and USAW to name a few). Contact him at sethmyersdc@gmail.com or his website. I know it sounds boring but it won’t be. If you have back pain you must listen to this podcast at least twice. Think of it as a crash course in human anatomy and biomechanics. Why should you want to know about the anatomy when all you want is the pain to go away? Because to gain control of your condition, you need to understand the reason it’s occurring. A strong majority of people develop back pain because of their lifestyle. If we change our habits then we change our back pain. Simple (in most cases). That could be true but much of the time the disc herniation was there well before your back pain presented itself… and if you find times throughout the week when you’re pain-free then your back pain can be improved! Don’t blame the disc, blame the pain triggers… empower yourself and fight for a pain-free life. This podcast will give you the necessary tools you’ll need to understand the next two podcast sessions that will be nothing short of amazing! I promise! Here’s the correlated GUIDE TO BACK PAIN. Enjoy. We are going to finish the year strong at Performance Place! In this podcast session, I wanted to share my personal story about low back pain. I developed lower back pain when I was playing high school baseball at the age of 15. It was not overuse related… it was traumatic. The reason I say this is because majority of people’s low back pain seems to come out of thin air. Mine was a definite event. The injury put me out of my sport for 8 months, during which I saw a Physical Therapist for 3-4 months, a Massage Therapist, a Chiropractor, an MD, an Orthopedic Surgeon and lastly a Chiropractor specializing in Active Release Technique and Exercise Science. Dr. Ron Higura’s office in Orange, CA was my last stop and my reason for working with people today. My recover was a process. It took a lot of hard work. I have been without back pain for the last 20 years. After receiving my copy of the Gift of Injury, the story of Brian Carroll’s return to powerlifting after a horrific back injury, I asked the two authors to be on the podcast. Brian Carroll and Dr. Stuart McGill blend the worlds of science and powerlifting together perfectly… the moral of the story is that if Brian can feel better and win again then many other people/ weekend warriors/ athletes can overcome their back pain. Brian flew to Dr. McGill’s lab in Canada for a full assessment and develop a plan of attack. His goal was to be at the top of his game again… better than before his injury. The Gift of Injury was born of their experiences/relationship together. It’s an excellent book packed with examples of loading programs, building tension, and the guy wire system all in an effort to allow Brian’s spine to heal before his push to be at the top of powerlifting again. After Brian’s recovery he was able to he lifted a 2615lbs total at the 2017 Arnold Sports Festival, claiming the 242lbs class open and overall titles for the 3rd time. Have pain you don’t consider an injury but it lingers? Are you strong but constantly experience joint pain? Is your squatting form solid but your back still hurts? This is the podcast for you. Honestly this could be the most ground breaking concept you’ve ever hear as an athlete, lifter, runner or even health care clinician. I met Dr. Richard Ulm DC in Long Beach this year at the Perform Better Summit, where he was speaking about the concept of Functional Capacity, Functional Gap and Compensation Patterns. The concepts he talks about in this podcast are derived from Vladimir Janda’s Lower Cross Syndrome and furthered by the work from Pavel Kolar. Dr. Ulm takes the concepts of both and translates them to high performance movements and the compound movements we use in the gym every day. Why is being strong important? Why should you put down your morning latte and listen to this at the gym? Dan John, a world renown strength coach and public speaker, goes over these points as my guest today. I first heard Dan speak over 8 years ago at a RKC Kettlebell certification. Simply put, he makes complicated exercise/ movements simple. We spent 2 days learning the Kettlebell Swing, Goblet Squats, the Plank, the Birddog and Turkish Get-up… I was doing them all wrong prior to going. Learning the Birddog was like no other… have you ever done a Birddog that made you sweat? I hadn’t… that’s because I wasn’t creating enough tension. Knowing when to turn tension on and off is important for strength, injury prevention and being able to relax. Dan goes into this concept as well as physical attributes needed to be a healthy, functioning weekend warrior. Did you know there’s no pitch count restrictions in youth softball? Baseball has implemented one to protect our youth, so why not softball? If our competitive softball players are going to play so much we should take the necessary steps in the off-season to get them healthy again. Nancy Newell dropped a knowledge bomb on us today. This podcast is a must listen for competitive softball players, softball parents, coaches and strength coaches. She gives a ton of great information on performance and prevention of shoulder pain. I wanted her to go more in-depth about an article she wrote about the top 10 offseason priorities for softball players. You can find her article here. You can reach Nancy through her website. She has some awesome blog posts with tips and exercises. Numbness and tingling of the hand, arm, and forearm is an extremely common “injury” for both athletes and non-athletes. I figured we needed to do a podcast session on the upper extremity exclusively and Dr. Fontaine was my go-to-guy. The causes of numbness to the hand range from a pinched nerve in the neck, to Carpal Tunnel Syndrome, to a peripheral neuropathy, to vascular problems and much more… each condition is treated slightly different… it all starts with proper diagnosis. Dr. Matt is extremely knowledgeable and successful in treatment of conditions creating loss of sensation. If you live around the Northern Virginia area, here’s his contact info! Tim was featured on Session 37 where he went into some really cool tips for engaging the deep core muscles using a balloon breathing technique. Back by popular demand, I interviewed Tim on the fly again about Pilates. Does Pilates burn a ton of calories? Differences of Pilates floor work vs machines? Why you shouldn’t do selfies, and what is #grind…. enjoy. This was a fun one… he really started to twist the knife on if I look like Paul Rudd or not. You can find out picture references here. Reach Tim on his website timfleisher.com or email him at tim.fleisher@gmail.com. In this session I’ve picked the best questions from the last few weeks and spent 10 minutes or so answering each. Access the show notes and don’t forget to ask your own question! Sitting will be the death of us. We often times sit for 8-10 hours at work, sit in our car to drive home, and sit to eat dinner. In this day and age, sitting is what most people do throughout their days. In this podcast session, I speak with an ergonomic specialist, Dr. Kevin Christie. He gives some awesome tips on how to sit better and what else we can do to decrease the effects sitting has on our body. Dr. Christie’s podcast “The Modern Desk Jockey” targets how we can improve our work life through better ergonomics, posture, mini-breaks and more. In this session, I dig deeper into some tips for your work station at your job and at your house… but this information just scratches the surface of what you will learn from his podcast series. At the very end, he drops some business tips for fellow chiropractors and healthcare providers looking to build their practice. You can reach Dr. Christie at his practice or at his corporate wellness operation. Session 55: Hamstring and Ankle pain, Caller Skype Conversation. In this session I have my first live caller! I have known this person for a long time so I was very blunt about the suggestions. Too bad I can’t do this with everyone the first time. He’s been suffering from an ankle injury for the past few weeks but can also recall also injuring it in high school (hint possible unaddressed old injury). He also had a past hamstring injury on the same side. The questioning process may seem random in the beginning but this is the history taking process of an exam. Granted I am not looking at him in person but we do get some insight to his corrections through conversation. This is a solo podcast today on a few questions I have been asked my opinion on over the last few weeks. It should be fun! Why can’t we get grandma to exercise? Age related corrections or suggestions for rehab and exercise. What is an injury vs. pain? How long should a warm up take and what should it entail? Dr. Dean has been working with high level runners in China for about a year now and has more continuing education than most MDs, PTs, DCs and ATCs. Last year he mentioned he traveled to more than 30 continuing education seminars… most of us do 4 at the most in a year. Listen to this podcast session and learn about a few actionable things you can test and try if you’re experiencing foot pain from running. Sorry about the Skype lag we had on this one… China IPs were tricky. You can find Dr. Dean’s Yank Away Pain here. Have you ever wondered if you’re eating enough protein? How much should you eat to lose weight? How about if you are running a marathon? If you’re trying to just stay alive? That’s right… if you don’t eat enough protein you will die. But how much is enough? Andrea Marincovich, a Registered Dietitian, is my guest on the show this week. She’ll go over all of the numbers and calculations related to having the right about of protein for your lifestyle. In this session I go over some question from listener’s emails about their own injuries. I go into each of these cases and break down some rehab and treatment ideas they could try next. I also go into the probable cause of their pain and some references they could look at. Dr. David Geier is an orthopedic surgeon with a passion for education and prevention. In fact, he wrote a book on the Top 10 Most Impactful Injuries in Sports History and how they could have been prevented. In this session, we go over ACL injuries, UCL (elbow in throwers) injuries, and Football head injuries. This was one of my favorite interviews yet, the conversation was great and extremely educational. If you’re a youth coach or a parent of a young athlete you need to listen to this one. You can reach Dr. Geier at his website. Injuries rarely come from nowhere. There are often plenty of warning signs. We just need to pay attention to them. Why do we consistently wait for something to break before we address it? In this session, we go into some signs of a possible injury on the horizon. What can we look for as athletes and how can we address red flags? We also go into the definition of an “injury” and how an “injury” can be present without trauma. Dr. David Newton practices in Denver CO.
Dr Scott Mills breaks it down really easy for you. The shoulder doesn’t exist in isolation. The cause of a shoulder injury when jerking, snatching or overhead pressing could be your past ankle injury or your lack of midback motion to name a few. You’ll have to listen to hear the rest. We go over some ways to self-assess, drills to improve scapular stability and some other free resources you can use on Youtube. Overall this was a great back and forth, entertaining interview. You’ll be entertained, you’ll laugh, and you’ll learn. Max Shank is a strength coach of a rare breed. After looking at his eBook “The Simple Shoulder Solution,”, I thought to myself… there are only a few things I would add to this program. After speaking with Max on the podcast, I changed my mind… this is pretty complete. 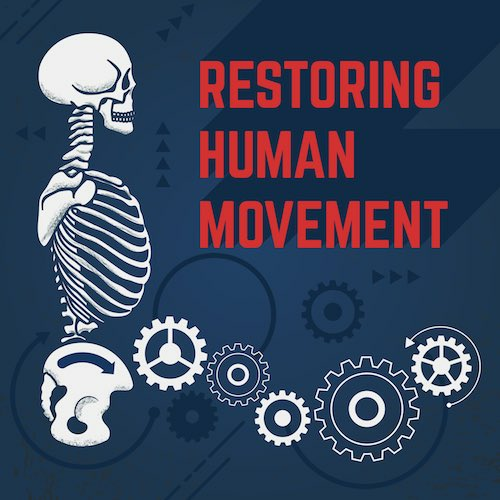 Listen to this podcast and you’ll begin to understand the shoulder, the shoulder girdle, how the spine is correlated and how breathing well can improve the shoulder pain that keeps you up at night. Is there more we can add for shoulder rehab and function? Yes, but these are the most “bang for your buck” exercises, especially when taking into consideration many people will only do 5 minutes of a routine every day. In this podcast, you will learn the fundamentals of what you need to have a healthy shoulder and some tips on what you can do today. Gear up… this is going to be a good one. Thanks for your time Max! Have you ever had an injury to a muscle where the MRI is negative? This is an extremely common and frustrating situation for most people because they feel it could be all in their head… but that’s not the case. In this session, I go over these new concepts and why you should care. We cover functional and structural muscle injuries and how we can apply what we know to make changes to a muscle injury in a matter of minutes some times. Subscribe to the podcast and review! BDNF means Brain Derived Neurotrophic Factor. Neuroplasticity means the brain’s ability to change, in response to an external stimulus… for better or worse. In this session, Dr Michael Lovich helps us understand how we can increase our BDNF production with exercise (and some other ways) to improve healing during the rehab process. I met Dr. Lovich at a seminar in 2017. We talked about some new concepts surrounding rehab over a drink at the hotel bar. It was so interesting I thought we needed to hear more of his concepts on the show. Dr Silverman is the man to listen to for nutritional advice for… you name the condition… Achilles Tendonitis, Sciatica, Multiple Sclerosis and other sports related injuries. Just look at the alphabet soup after his name and you’ll know he has tons of credibility. He has been featured on NBC News, Fox and Friends, and WSJ live to name a few. I’m thankful he took the time to share today on the podcast. Listen for some actionable things you can do today. I have never actually met Dr. Reis in person (as of the time of this podcast) but we did come in contact (over email) through a project I was working on. We spoke over the phone just one time and I could tell this is someone who could share some valuable information on my listeners. Dr. Reis focuses on improving your function through improving structure and neurology, basically whatever tool is needed. In this podcast session, we focused on some general rehab concepts as well as more specific questioning about It Band Syndrome and concussions. If you have a youth athlete in a contact sport you need to hear this one. I realized since I soon will have a good friend/ expert on shoulder rehab on the show, I should set the preface on what the shoulder actually is and how it functions. What exactly are we going into this session? We are hitting all of the types of structures of the shoulder such as: the bones, the cartilages, the ligaments, the tendons, the rotator cuff and the “non-rotator cuff” muscles. We also go into the concept of expansion of a rotator cuff tear and how 66% of rotator cuff tears actually do not produce pain. Lastly, I touch on the topic of some light pitching/ throwing mechanics for you overhead athletes out there. After having such a great response to Mike’s last interview (Session 27) I thought we should have one specifically on Ultrasound diagnosis and needle guidance for the knee. Mike goes into what knee conditions can be diagnosed beyond reasonable doubt by using MSUS. He also goes into how certain he can be your injection will be in the right location by using Ultrasound Guidance. Contact Mike Jablon at http://orthopedicultrasound.net/index.html Visit our site for references on this session http://www.P2SportsCare.com. You have seen athletic and sports tape everywhere… TV, magazines, social media, on the shoulders of volleyball players, Crossfitters, runners and more. Have you ever wondered what tape is for what? Does the color matter? Would it work for your injury? I have Dr. Davis Koh DPT (http://kohpt.com/) in on this subject. He travels with USA Volleyball and has had extensive experience withf taping. He admitted he is not an expert in all tapes… I feel the same way. We will roundtable answer each type of tape to the best of our ability. Session 38: Where have all the Experts Gone? I had an incident that spurred this topic, so if I am fired up I apologize. I recently landed myself onto a public forum to answer some questions posed by fellow weekend warriors. I spent a few hours answering questions to the best of my ability… naturally I thought I could be the best help to everyone by answering the questions on injuries. Still frustrated, I have not been in that very popular forum since… why? Odd huh?! Wouldn’t you want the advice from a healthcare professional if you had an injury? In this session, I brainstorm where you can still find experts posting and sharing advice if they are not in forums and how you can still find good information on the web. Tim Fleisher and I met years ago at an Ironman Treatment event on Kona HI years ago and we have been friends since. The thing about Tim is he is extremely well-rounded in his knowledge about the human body. He teaches human anatomy at a major university. He instructs for Stott Pilates. He fits bikes for triathletes. He performs Active Release deep tissue work at a college level. But to top it off he is working on his PhD working in a lab finding a possible correlation between the pelvic floor and the piriformis muscle. That’s a lot of background. So I wanted him on the show to give us all a comprehensive look at the importance of the hip, pelvic floor and low back, while focusing on triathlete performance and injury. You can reach Tim on his website timfleisher.com or email him at tim.fleisher@gmail.com. I had a listener leave a message for me about their sports hernia. They have been dealing with it for almost a year. They tried therapy 3x a week for month and it never got better. Now he is at the point where they would like to have the sports hernia surgery… but surprise… their insurance won’t cover it. They call it “experimental.” the going cost is around $10k. Dr. Meghan Helwig is a Doctor of Physical Therapy I met at a seminar a few years ago while in Boston. At the time, I actually had a knee injury I was suffering from so between the sessions I asked her to take a look at it. I was blown away by her troubleshooting ability and how she was about to look beyond the places I hurt. This is what we are going to talk about in this session. Using your past history and past injuries to solve your current hip pain from lifting and/or golfing. Dr. Helwig specializes in both sports and personally takes part in both for her own leisure… all while having a hip labral tear. Awesome! You can reach Dr. Helwig at her site . Reach out to her if you are in Northern San Diego CA. Her Instagram handle is @primalstrengthdoc. In this session, I go over everything you need to know to interpret what your doctor, physical therapist or sports chiropractor is talking about before rehab of the hip. Communication and common terminology is extremely important for compliance of a treatment plan. Compliance means you will stick to the plan. This sounds like I am treating patients as children and I don’t mean that at all, but it’s extremely common for people to not value what they don’t understand. You need understand why a certain treatment plan is recommended for your condition. It all starts with common terminology. If you want to get one of the best books of anatomy, try the Netters Coloring Book . It has proven to be very helpful in learning anatomy and very cheap. The Netters larger book is the book 99% of rehab practitioners learn anatomy from in school. In this session, we start into some physical therapy and rehab concepts for knee conditions plaguing runners. I could have chosen a few physical therapist to answer my questions but Dr. Davis Koh was one of my top picks. To be fair, I would have could have had Dr. Koh speak about many different types of injuries so I will have to have him on again one day. We will go over what these two injuries are, how they occur, how rehab typically goes, do they need surgery, some treatment available and much more. Dr. Koh also gives us some info on IASTM (Instrument Assisted Soft Tissue Mobilization). Below are some links some of the tools and sites he suggested. In this session, I go over everything you need to know to interpret what your doctor, physical therapist or sports chiropractor is talking about before rehab. Communication and common terminology is extremely important for compliance of a treatment plan. Poor motion can create injuries of the back, hip, knee, foot and ankle… just to name a few. Dr. Dimak and I go through some concepts about how to sit properly, how to breath, and how relaxing can relieve some painful conditions. Session 30: Gut Check: A Personal Experience of Gut Issues by James. In this session, I interviewed James. James was a patient of mine and we still talk/ have lunch to catch up. I’ve always found him to be a great person and inspiring, especially for how many health conditions he has. In this interview, we go into his story, books he has read, people he’s seen, how he is doing now verse over the years and more. Although you may not have issues with Leaky Gut, Irritable Bowel and Acid Reflux, I think you should listen to this one anyways. James is a great storyteller and an overall nice dude. Session 29: What “Technique” is best in rehab? In rehab and treatment of sports injuries there are so many types of “techniques.” Doctors, Physical Therapists, Chiropractors and Massage Therapists go to certification class to learn these techniques and sometimes overuse the techniques. This actually happened to me. In this podcast, I go through my growth as a healthcare provider and how I realized how a technique is only 1 tool in a toolbox. I did a podcast about this in my dark ages when I had no real mic and terrible audio. I think this is such valuable information I wanted to do it again from a fresh point of view. I have grown over the last few years so I think my point of view has changed slightly as well. Musculoskeletal Ultrasound Expert Mike Jablon “See your injury without an MRI or X-ray”. If you have spoken with me personally about clinical topics over the last 4 years you would know I love Musculoskeletal Ultrasound (MSK or MSUS). In fact, I bought one for my clinic and unlike many doctors who would buy it to have someone else take the images, I actually learned how to do it. Because it was so cool! I could actually see exactly what I was treating or I would see what cases I needed to refer out. I was and still am blown away by how detailed MSK is. Mike was the guy who taught me. He recommended I start with the Jon Jacobson Book on Ultrasound. You can find that HERE. MSK is a very underused but very accurate method of imaging injuries. Do you have a shoulder, knee, ankle, hip or groin injury? Can’t get access to an MRI? Desperate to see what’s wrong? Ultrasound can see a rotator cuff tear, meniscal tear, or a tendonitis within a minute or 2. Learn all about it here. Crystal is a good friend of mine and has gone through an epic physical transformation over the last year. See how she did it while having a back injury and past ACL repair. She will be giving some tips and suggestions for your success. I have a variety of different types of injuries coming through my office every week. This one was interesting on a few fronts. Sciatica into both legs (over the past few years), fear avoidance and learn why an MRI could be needed to rule out other conditions. In reality, if this sounds like what you or a friend has you should see a doctor extremely soon as it could be something more serious than you think. Visit our site for references on this session http://www.P2SportsCare.com. I have known Billy for the last 3-4 years as a patient but now after his care with me completed I see him as a friend. When he came to me we were treated conditions he sustained from running. If you could see his running mechanics you would understand why he changed to only cycling. I don’t say this to bash on his running ability but more from an “is it worth it” standpoint. He is an extremely competitive guy and as we spoke we found cycling would be a better sport for him to excel without repeated injury. Billy is an incredible cyclist and you’ll hear the story of how he smoked me when only really having one functional leg. Billy goes over is story of having a stroke at the age of 17 and continued on to have a professional cycling career. He has ups and down along the way… very inspiring. Considering surgery? Don’t jump the gun! Regenerative Cell Therapy could be what you need instead. Dr. Goswami from www.precisecare.com has come on the show to tell us more. I met Dr Goswami from a patient we have in common. When I originally consulted the patient (let’s call him Joe), I turned him away. Joe had extreme loss of hip range of motion, possible labral tearing, and overall I felt the time he would spend with me would be a waste of time and money. Joe found Dr. G all on his own and had Regenerative Cell Therapy. A year later Joe came back into my office and I examined him. Holy heck, what a change in range of motion. It was like night and day, so I ended up rehabbing him. My estimation today is that he has improved well over 75%. That’s a lot for a possible hip replacement case. I had to meet Dr. G and get him on the show. Let’s get to the questions you may not remember to ask your doctor at your appointment. Nutritional Tips and Advice from Jenn Zerling MS, CPT from www.jzfitness.com. Jenn goes over the glycemic index for eating habits and some other advice for how to beat your genetics and stay healthy. Visit our site for references on this session http://www.P2SportsCare.com. Wondering what you could do? I go over some of these points and some theory of how we could combat knee osteoarthritis. Visit our site for references on this session http://www.P2SportsCare.com. Session 20: Is Icing an injury really that helpful? Listen to this session and I’ll go over some current research on why we should reconsider icing altogether. Visit our site for references on this session http://www.P2SportsCare.com. Session 19: In this session I go through the possible reasons you could not be learning anything at your current therapy office. Is there miscommunication? Does your therapist not care? Do you not care enough? We go through it all. Our sites http://www.P2SportsCare.com. Session 18: In this session I speak about a Masters track athlete with an Achilles injury. I performed a Diagnostic Ultrasound on his ankle to find if he should run in an upcoming event. I’ll go over his mindset, his past rehab and his risk/ reward of running in the near future. Our sites http://www.P2SportsCare.com. Session 16: In this session talk about my neighbor… well he comes in during my podcast to ask a question. He has shoulder pain with rock climbing and surfing but we uncover he has more. He has been ignoring his posterior chain. Our sites http://www.P2SportsCare.com. In this session, I will go over the 3 types of shoulder complex muscles you need to know about. I repeat you NEED to know in order to understand how to rehab a shoulder. Our sites http://www.P2SportsCare.com. In this session I will go over the 5 phases of healing of a muscle/ tendon. From this you can understand how long you will be down for and what you can do on the timeline from your injury based on theory. Our sites http://www.P2SportsCare.com. In this session, I will go the concept of rehabbing an athlete vs rehabbing their site of injury. This is from a Youtube comment about a hip injury after a surgery. Our sites http://www.P2SportsCare.com. In this session, I address a Youtuber’s knee injury she called pea anserine. I have a few more ideas on what it could be and how it can be rehabbed. Our sites http://www.P2SportsCare.com. In this session we cover a comment from a Youtuber who had pain when they attempted our core exercises. The pain was in her hip but the rehab exercise was for the trunk… odd huh! See what I thought as we trouble-shoot. Our sites http://www.P2SportsCare.com. In this session we will go over a caller’s question. A marathon runner with a hip injury. He didn’t know what he could do after his doctors told him to rest. See what I said. In this session, we will go over Low Back Injuries and philosophy of rehab. This is a conversation I have with all of my back pain clients. Understanding back pain critical. We will also be going over some rehab that is safe for certain types of back injuries. In this session, we will go over a comment I received from the Performance Place® Youtube Channel.The video was about an Infraspinatus Injury. The infraspinatus is a rotator cuff muscle and the region is often sore with overhead athletes, however it can be more than just a muscle injury. We will be brainstorming what else could be causing shoulder pain as well as some rehab ideas. In this session we go over the Sports Hernia. Sports Hernias are complicated to say the least. Sports Hernias are more common than you think. Learn about how to identify the signs of one in this episode. I will have another podcast on Sports Hernias to come in the future since I am writing an authority article on the topic. In this session, we will go over a comment I received from the Performance Place® Youtube Channel. The video was about an IT Band Injury (aka the Iliotibial Band). IT Band Friction Syndrome is a huge topic and will not be completely covered in this podcast. It would take hours to dive into all of the information surrounding the area.